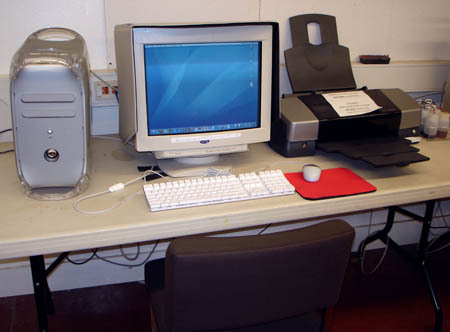 Ideal uses for this station: Small/Medium prints on all kinds of papers. •This printer uses a C.I.S. (Continuous Inking System). This is a special configuration for inkjet printers which allows them to print for much longer periods of time. 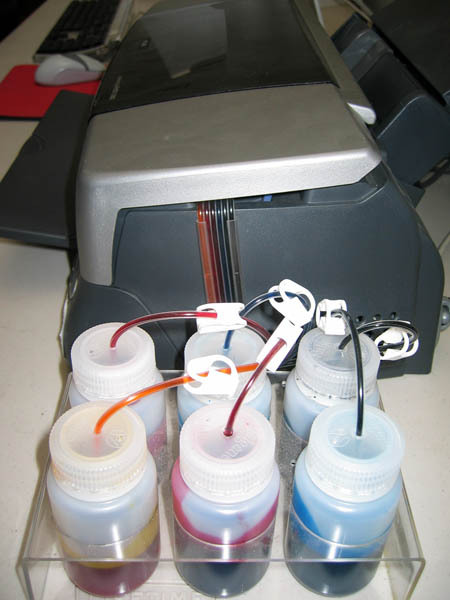 The printer has tubes attached to it, which run from bottles of ink to "dummy" cartridges in the print head. Thus, the printer thinks that it has cartridges installed, when in fact it has bottles installed. •Because of the CIS, it's best to open the printer cover (or remove the cover) prior to printing. •Occasionally the 1280 will "think" it is out of ink and will flash the "ink low" light. Unless the ink bottles are actually out of ink, the remedy for this is to turn off the printer, wait 30 seconds, and then turn it on again.